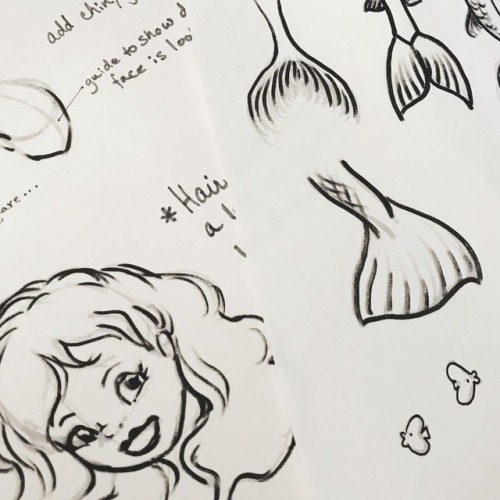 I am making templates and handouts for some of the basics we can customize like faces, hair, tails, and extras like seaweed and fishy friends! I will have all the templates themselves available for those who did not attend (and more fun #mermaidart goodies?) via my blog or probably my patreon, which is launching soon!